Car Transportation LA is a premium LA auto transport company. Serving car owners in Los Angeles and the surrounding area, our professional team are the people to call when you need car transport services. Relocating? Buying a new car? Need to get a race car to a racing venue? Whatever reason you have for needing to have your vehicle delivered long distance Car Transportation LA will help you with all your car shipping needs. 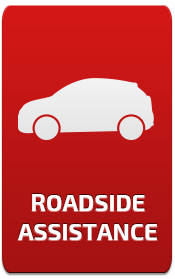 The company’s office in Los Angeles boasts a team of reliable and committed tow truck operators who will make sure that your car gets to where it needs to be, when it needs to be there. Why Use Car Transportation LA? So, you need to ship a vehicle from Los Angeles to a long-distance destination. Call our team of auto transport experts and they will help you through the entire shipping process. Once we know your needs and expectations we’ll coordinate the shipping for you and give you a free all-inclusive quote for long distance car shipping. We will never include any extra fees, so you know in advance exactly how much it will cost you to ship your car. The transportation of your vehicle will be coordinated according to the dates and locations you give us. Once you have received your free highly affordable quote and have decided to work with Car Transportation LA we will start the process. Our auto transport coordinator will explain everything to you and will gladly answer any questions you have at any time during the process, until after the car is inspected upon delivery. Car Transportation LA provides safe and fast car transport services. 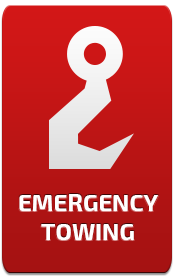 The company has a team of fully licensed, experienced tow truck operators who will make sure that your vehicle is delivered in a timely manner, in the same condition that it was in when we received it for delivery. We will coordinate to have your vehicle delivered in the most fitting tow truck, to ensure that your car is always safe. Not only are all Car Transportation LA’s team members experts in their field, who are extremely familiar with our processes for long-distance auto transport, they are great team players and they very customer service oriented. Car Transportation LA in Los Angeles offers long distance auto transport services for all types of vehicles – cars of all makes and models, specialty cars (like high value vintage cars and sports cars), motorcycles, boats, and even heavy loads such as motor homes. If you are considering having your vehicle transported long distance give us a call to discuss all your auto shipping options and to learn about the shipping process.